With the way things are going in the world, one could easily wish for the old days when things were thought to be better even when they really weren’t. 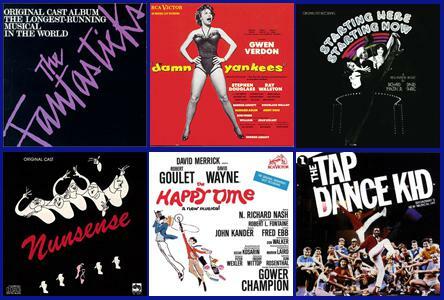 We thought we’d take a look at how Broadway musicals remembered the “Good Old Days” with songs from a variety of musicals like the wistful memory of “Try to Remember” from “The Fantasticks” and “Lilacs Bring Back Memories” from “Nunsense.” From “Damn Yankees” we’ll hear a happy memory of a troubled times in “Those Were the Good Old Days” and a flood of warm memories in “The Happy Time.” There will also be a sampling of songs about relationship memories from “Starting Here, Staring Now” and “The Tap Dance Kid” along with several others. Join us each Sunday at 7:00 p.m. for memories of all kinds in The Dress Circle. Don’t forget to look for us on Facebook and at DCSRO.com. Listen to A MUSICAL LOOK AT THE "GOOD OLD DAYS"